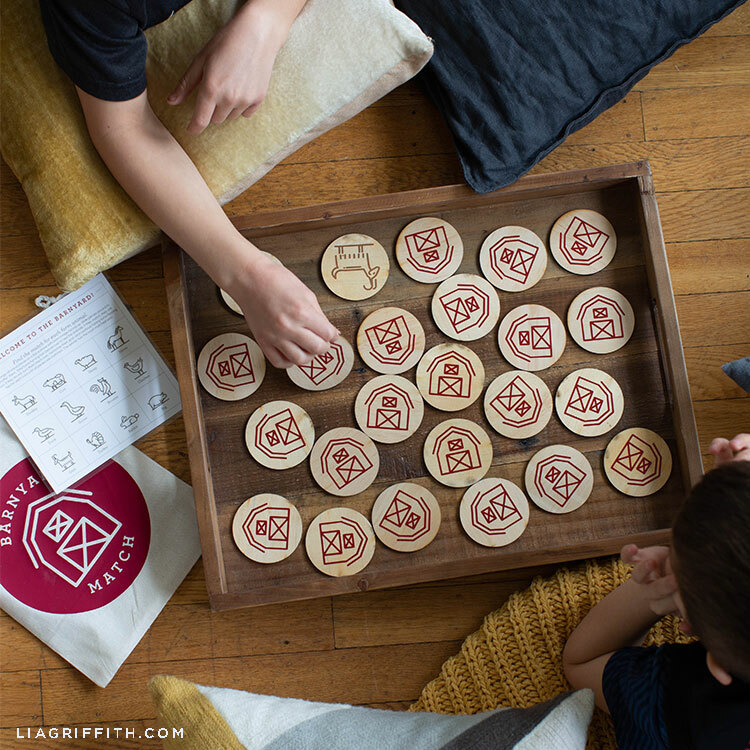 One of my favorite memories from childhood is our weekly game night! Dad would make a big batch of stovetop popcorn, always pouring it into a paper grocery bag to shake it up with salt. He would then roll the edges to make a paper bowl and place it on the table for us to scoop into our popcorn bowls. 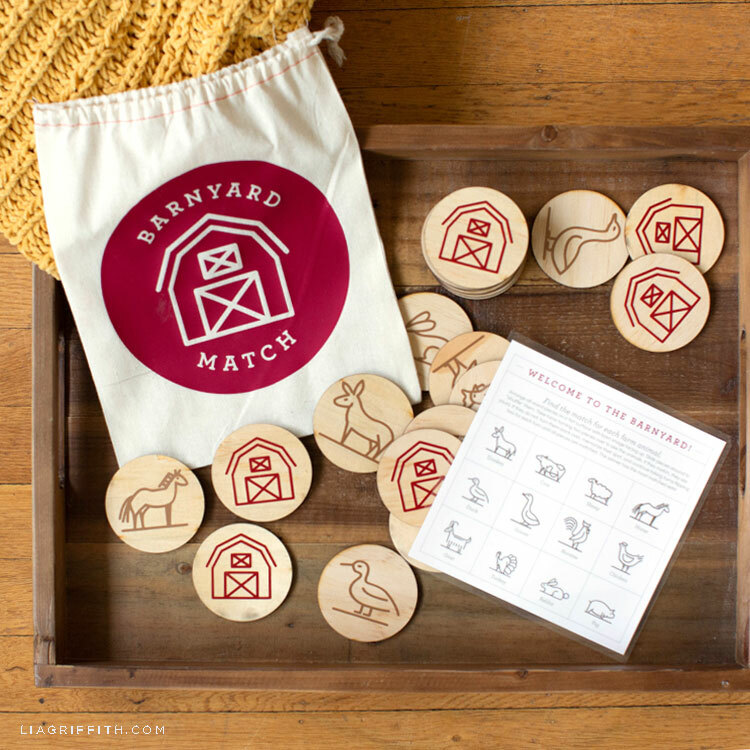 In the spirit of childhood memories, I decided to bring some of my favorite farm animals to the game table with this barnyard memory game. If you like farm crafts, be sure to check out our chipboard barnyard animals. 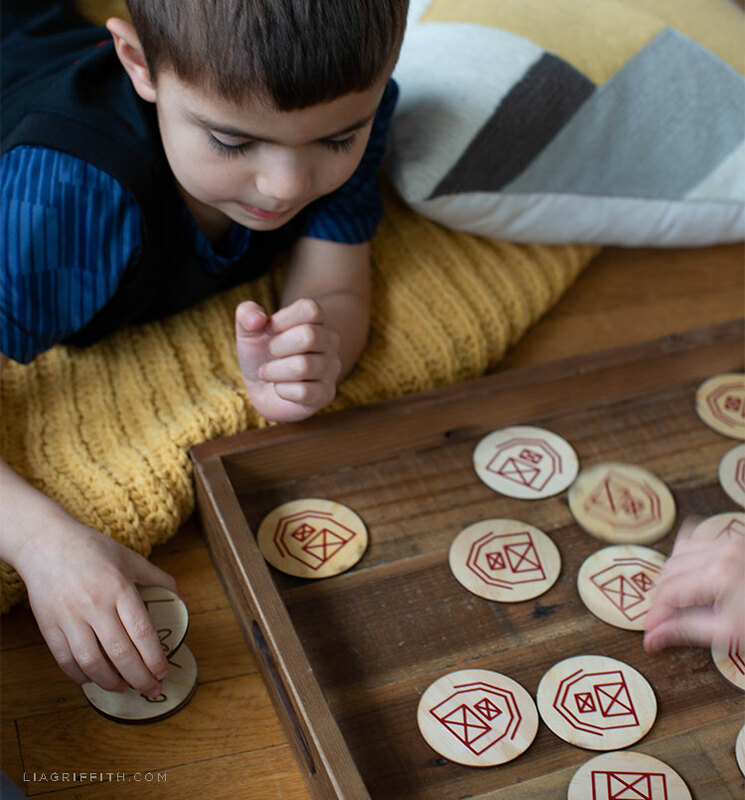 And if you are looking for more farm-inspired games, you can find more inspiration in the Kid’s Farm Party section. 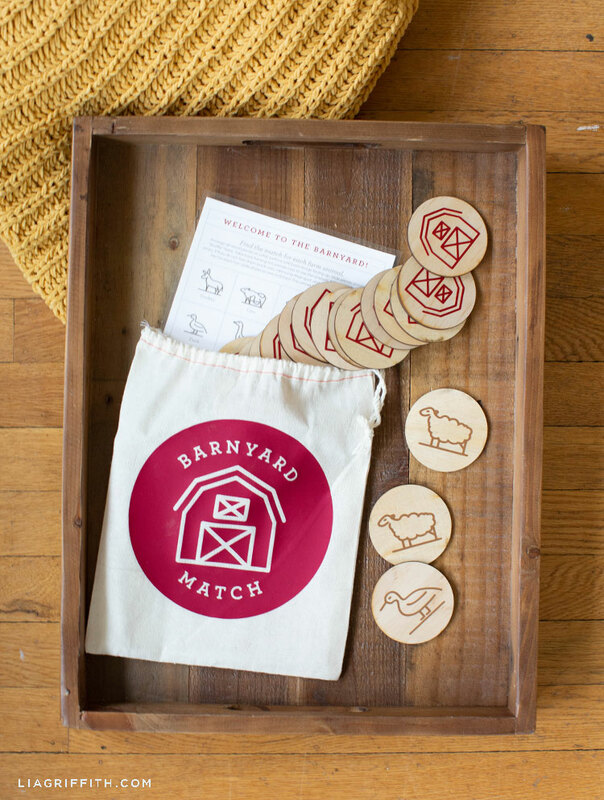 For this barnyard memory game, I started with the wood disks and designed the animals and barn to fit onto both sides. I then cut all of the vinyl on my personal cutting machine and with the weeding tool removed the excess vinyl, transferred them onto the tape, and pressed them firmly onto the disks with the scraper tool before peeling back the transfer tape. I also designed a printable rules sheet that names all of the animals in the game. 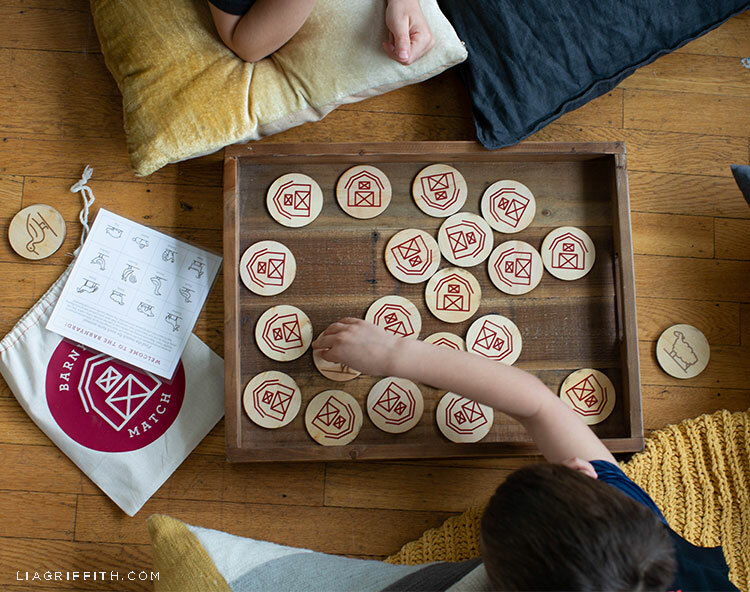 This is a fun way for the little ones to learn animal names by sight as well as the spelling of each name. Simply print this onto card stock and trim. You can laminate this card to keep it clean and reusable. I really appreciate your work & kindness..